Design instead of performance? The design and the price of the new HTC One A9 are top-class, but the performance is only mainstream. Can this work? Despite its imitative appearance, the HTC One A9 is a worthy successor to the company's long line of high-quality mid-range handsets. It's a shame the company initially priced it so it competed against other high end premium smartphones, though, as it can't compete at that level. The HTC One A9 is a good looking phone with a great screen, good performance, up-to-date software, a good fingerprint sensor, and a decent set of cameras. It gets all the basic functionality right, with excellent network and Wi-Fi handling, along with good audio quality in calls. Battery life and the audio output from its single speaker are its only real weaknesses. The iPhone-like design, whether deliberate or not, may get it some negative publicity, but at Rs. 29,990, this HTC phone is pure quality at a reasonable price, and should give devices such as the Samsung Galaxy A5 (2016) (Review) serious competition. Everything about HTC’s One A9 comes down to its price – Rs 32,900. Let that digest for a bit. HTC expects you to spend more on the HTC One A9 than you would on a Nexus 5X, the Moto X Style or even the ridiculously specced LeEco Le Max Pro. There are a whole range of sub-Rs 15,000 phones that will offer comparable, if not better, specs and performance. It’s inconceivable to spend this much on the A9 unless you’re a die-hard HTC fan who doesn’t mind a sub-par iPhone clone. The phone isn’t bad and at half the price, we just might recommend it. The HTC One A9 is just another Android phone from the company. Apart from the great camera features, there’s nothing here that would make this a ‘flagship’ or stand-out model, and mind you there are certainly more powerful and better equipped phones in the market at the moment. Is it a phone that I would instantly recommend? Probably not, but HTC fans can still have a great time with this if anyone found the M9 a bit underwhelming. When HTC announced its latest not-quite-a-flagship-but-priced-like-one handset, the HTC One A9, it turned a lot of heads. Unfortunately, while there was a lot of praise for the handset’s aesthetic, there was less for the Taiwanese manufacturer’s originality: the HTC One A9 will look very familiar indeed to Apple enthusiasts. HTC's One A9 brings a lot to the table. With a hugely-improved camera, slimmed-down software experience and fast fingerprint sensor, the One A9 actually finds itself going up against some of the best of the best. But that doesn't mean this device comes without its caveats. We prefer the design of the One A9 to the flagship One M9 and it does have a decent fingerprint scanner. However, these things combined are not enough to justify buying it instead of its bigger brother or various even cheaper Android rivals. HTC has made a nice phone in the One A9 but its price tag is hugely misjudged. We regard the One A9 with a certain sadness. It's a good smartphone in many respects, particularly in its design and choice of Android 6.0 Marshmallow as an OS, but the hefty price tag is a huge barrier to success. Most inexplicably, it defeats the entire point. The One A9 is supposed to be a stripped-down but more affordable alternative to the One M9, but the One M9 has dropped well below £300 at a number of reputable retailers, so why not just get that instead? The One A9 is one of HTC’s best phones in a while. It has a beautiful design (with more than a few borrowed elements), nice camera, and great software. Despite all the fancy features, this is still a mid-range phone, and an overpriced one at that. There are many things to love about the HTC One A9: Its great cameras, beautiful, if too-familiar design, convenient fingerprint sensor and relatively low price of $400. But it lacks the multitasking prowess of other phones in this price range. Also, if you get it after Nov. 6, it'll cost $500 — not quite the steal it is now. Taken together, the HTC One A9 is the phone the One M9 should have been from the start, and it's easily my favourite HTC handset to date. Sense 7 is a fantastic interface and the A9's beautiful design makes it by far one of the most pleasing and attractive smartphones I've reviewed in some time. If you're suffering from iPhone envy but are tied to the Android world (and want to save $150 besides), the HTC One A9 is your ride. But even if you couldn't care less about Apple, you'll still want to lay hands on this phone, which has put HTC back in the first rank of Android devices. The One A9 has plenty of appealing features including a very impressive fingerprint sensor, that vibrant, gorgeous screen and attractive iPhone-apeing design. Sadly it’s not all rainbows and glitter, with a camera that’s beaten by rivals and battery life that barely lasts the day. For £100 less we’d be tempted, but there are better phones available at this price point. Looking back at my rather bizarre, rambling and confused post about the HTC One M9, I think I was asking for a bit more. The phone was fantastic, don’t get me wrong, but I knew that HTC could do more and it could also be different. They were almost in a rut, and HTC were losing their sparkle, but this thing… this thing is nothing short of spectacular. If I’m to pick anything in particular, I’d highlight the design more than anything. It’s fantastic to hold and so easy on the eye. I’ve looked at the Samsung handsets and, I’ve got to say, this looks and feels better. It just does. It feels natural in a way. Like a handset that someone, somewhere has been working on for years in a basement at HTC. The HTC One A9 doesn't have many direct competitors in its size class, and its $499 price tag puts it in an odd middle ground between $650 premium devices and $150-300 budget models. There's the older , still on sale; the more expensive iPhone 6 and Galaxy S6; and the considerably less expensive, cheaper-feeling and . The rumored OnePlus X might also be around this size. The Google is priced competitively, but its 5.2-inch screen places it more closely in phablet territory. 80% Could it be magic? 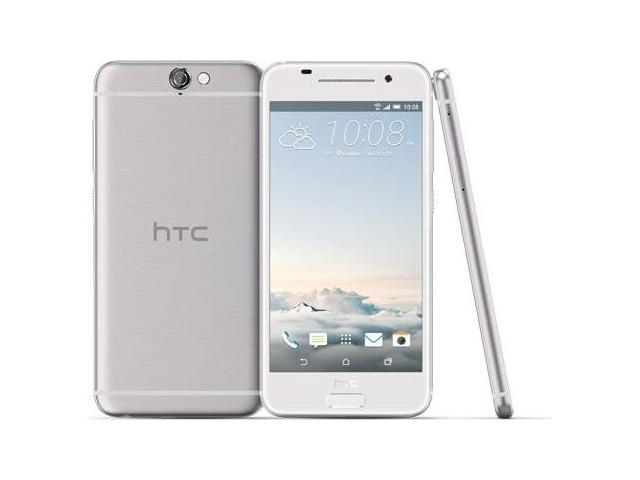 We love the HTC One A9 and we think it's the most exciting handset HTC has launched in 2015. We'd pick it over the M9 because it has charm that the flagship lacks. Despite being less powerful and lesser featured, the A9 offers a number of advantages: the fingerprint scanner is fast and lovely to use; the design is wonderful, giving a feel in the hand that's superior to many rival devices; the battery life is surprisingly good; and the tweaks to the camera give a better experience than it's bigger brother too. Yes, if you want a phone that's easier to use one-handed, the One A9 lacks many of the compromises smaller Android devices have historically made. I'm not alone in coveting a roughly 5-inch phone with flagship specifications, rather than the phablet screen that generally comes with such hardware, but I'm not sure I could live with such battery life from a $500 device, not to mention the knowledge that there were significantly better cameras out there for the same money. It’s just a pity that the UK price of the HTC One A9 makes it just about as expensive as higher-end mobiles like the Samsung Galaxy S6. If you’re planning on taking a trip to the US or manage to find a great deal for this iPhone-a-like, it’s a good buy if you can live with its just-scraping-by battery life. But right now? It’s way too expensive. I'm still not entirely sure what this phone is all about. It's a well-crafted device that's almost a flagship in many ways, and yet goes in a completely different design direction to the M line-up. Yes, it looks like an iPhone, and HTC should have done more to avoid that if cries that it's a mere coincidence are to be believed. That said, there are those that want the iFrame and Android together at last - this is that phone. HTC's latest premium phone is more than just an iPhone clone - it's easily the most solid built handset the company has made yet. While it does lack raw power compared to its M9 sibling, there are no BoomSound speakers and its camera does leave us wanting more, it's a solid performer and its fingerprint scanner is wicked fast. If you're after an iPhone running Android, it's easily well worth a look, but it's incredibly expensive for what you get, especially in the UK - look elsewhere if you're after flagship performance paired with flagship looks. At the very least, the One A9 proves that HTC is capable of bundling a decent camera sensor, battery efficiency, and stereo speakers into a premium-looking package. But it needs to kick Sense the the curb and find a price point that doesn't put its mid-range device in direct competition with higher-end flagships. Go with the HTC One A9 for that particular reason, which interestingly enough, is what HTC has constantly built its reputation around time-after-time with its flagships. HTC’s regard for what a flagship smartphone should be might be different from everyone else, but if they’re able to carefully use this new opportunity to their advantage, it’s plausible that this might be the beginning of a reversal for the company’s handset division. 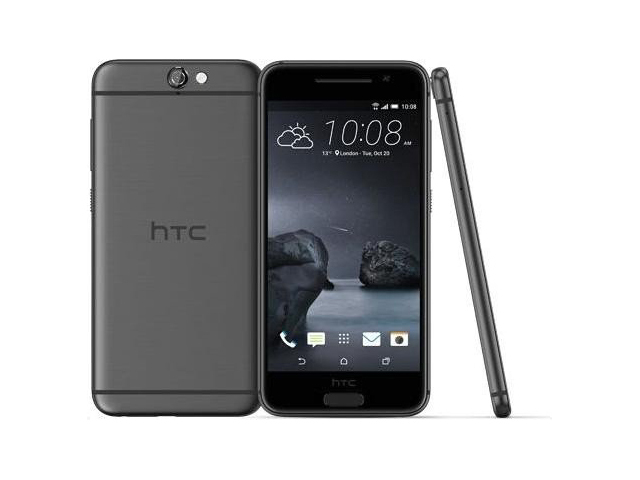 If you can get past the uncanny iPhone resemblance and you're willing to pre-order the HTC One A9 in the next couple of weeks, then you'll get a good value on a very nice phone. If it stayed at that price, we'd give it a fairly high recommendation and consider it an encouraging sign from HTC. But with that price hike, the A9 doesn't offer enough incentive for you to choose it over its best rivals. If you're reading this after November 7, you're probably better off looking elsewhere. Is that an overly dramatic reading of the situation? Probably so. Will ordinary people care about the departure the One A9 represents from HTC’s traditional design? Definitely not. In fact, for those few smartphone shoppers who carefully compare prices and find the HTC One A9 $150-$250 cheaper than an iPhone 6s, the decision will likely be a fairly easy one. We hope for HTC’s sake that there are many such people. But few Android shoppers are likely to have the iPhone in mind when considering the One A9 (at least until they pick it up), and we genuinely believe that HTC has hurt the phone’s prospects by pricing it like a flagship. Accordingly, we recommend that those interested in buying a One A9 either do so right away to take advantage of the promotional price – or wait a few months for the inevitable price drop to arrive down the road. Would I recommend this phone to everyone? No, not when we have other great flagships on the market at even better price points. But HTC loyalists can have a good time with this experimental device that addresses a number of issues they may have felt in the One M9. And the best we can hope for is that what this phone means greater things for their future. After the One M9 failed to find its footing, HTC cooked up a sequel with a new but derivative look. It's a well-built device and is one of the first to ship with Google's latest version of Android, but some of the One series' hallmark features are nowhere to be found. The end result is a phone that, while perfectly good, doesn't stand apart from the competition. But there’s nothing here that particularly stands out as impressive. It’s a well-packaged phone that does very little wrong, with a decent camera, OK battery life and a nice screen. But it’s too under-powered and over-priced to trouble the big-hitters - a phone for those that like a thin, slimline device and are too sucked into Android to think about moving. It has been a while since we got excited over an HTC device, the company just went into a cycle of re-releasing the One M9 with minor tweaks. Worse, a month after anyone buys an M9, a new, slightly better one comes along, souring consumers. The HTC One A9 is the first device to properly feel like a new launch - the start of something new and hopefully a new path for the company. It's no secret that HTC has been hurting on profits and market share and it needs a hero device to pull it out of the rut. The HTC One A9's most direct competition at this point looks to be the Nexus 5X, which starts at $379, has a slightly larger 5.2-inch 1080p display and also runs Marshmallow out of the box. Arguably, the A9's metal body is sleeker than the 5X—and it has a microSD card slot—but the latter has a more powerful Snapdragon 808 processor and a larger 2,700-mAh battery, which lasted 11 hours and 30 minutes on our battery test. The HTC One A9 is more than a handset, it is also the manifestation of a new HTC direction which is much more realistic, in a difficult competitive and economic environment. I wish that HTC had made these choices a few years ago, instead of insisting on things such as pouring resources into HTC Sense, heavily promote Audio, or fighting with an ineffective low-light Camera strategy, at the expense of more common sense user needs. SoC ARM de gama media con 8 núcleos de CPU (Cortex-A53, con soporte para 64-Bit) y una GPU Adreno 405. Producido en un proceso LP de 28 nm. 75.31%: Esta evaluación no es convincente. Debe ser considerado que difícilmente existen portátiles que reciben una evaluación abajo de 60%. Esta portátil es evaluada abajo del promedio, esta realmente no es una recomendación para la compra.